Archos has announced a big one – tablet, that is. The company has unveiled the FamilyPad 2. 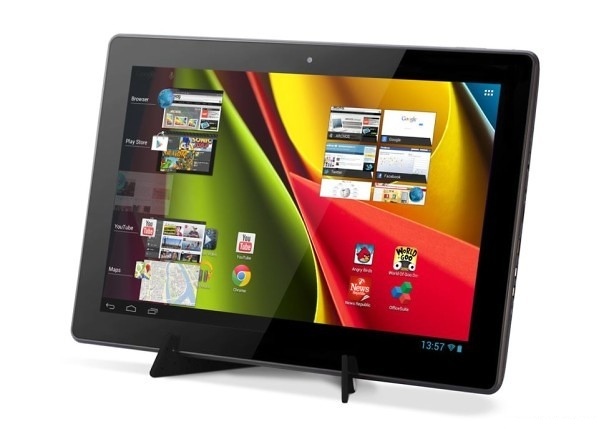 It sports a 13.3″ 1280 x 800 screen, a dual-core Cortex-A9 processor with quad-core GPU and a reasonable price tag of €299. It will be launching in Europe “very soon”. This mammoth of a tablet weighs 1.3kg but luckily comes with a free dock to hold it in place on tables, etc. To complete the tally, the FamilyPad 2 runs on Android 4.1 Jelly Bean, has two 2 MP cameras on tap, 1 gig of RAM and 8 gigs of storage. Archos recently announced its Platinum series slates in 8″/9.7″/11.6″ flavor and the front-runner Titanium series with a 9.7″ 2048 x 1536 display.